Please note, this book is a little dated now. 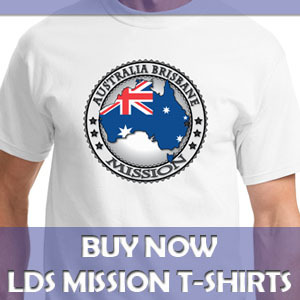 It was published in 2011, and a lot has changed since then about the process of applying for a mission. Much of the advice in the book, regarding temporal and spiritual matters, though, is still relevant if you wish to purchase and read the book. At some point, when I have a sizable chunk of free time, I’ll revise the book and publish a new edition. Until then, enjoy the old version of the book and enjoy the website, which is kept current on changes to policies and procedures involved in preparing for and going on a mission. Also available is a free digital download of the Mormon Mission Prep eBook in the following formats: EPUB (Apple iBookstore, Sony, B&N, Stanza, etc. ), .mobi (Kindle), and PDF. 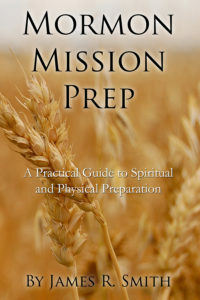 Mormon Mission Prep: A Practical Guide to Spiritual and Physical Preparation takes a unique look at missionary preparation by focusing on the practical as well as the spiritual side of preparing to serve the Lord. The book provides details on the application forms and estimated timelines of when to start and how long steps should take. Knowing the mission call process can relieve stress and help prevent unnecessary delays in getting the mission call. Becoming an effective missionary also means knowing and using the scriptures, maintaining your worthiness, understanding the gospel, and developing a testimony. Author Jimmy Smith address all those issues and more in this book that is full of tips on preparing both spiritually and physically for an LDS mission. 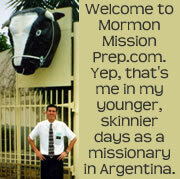 Jimmy Smith served a mission for the LDS Church in Rosario, Argentina from 1995 to 1997. He worked for The Church of Jesus Christ of Latter-day Saints from 2008 to 2015 in the IT department and with Seminaries and Institutes of Religion. In his professional life, Jimmy specializes in web analytics, digital marketing, and search engine optimization (SEO). 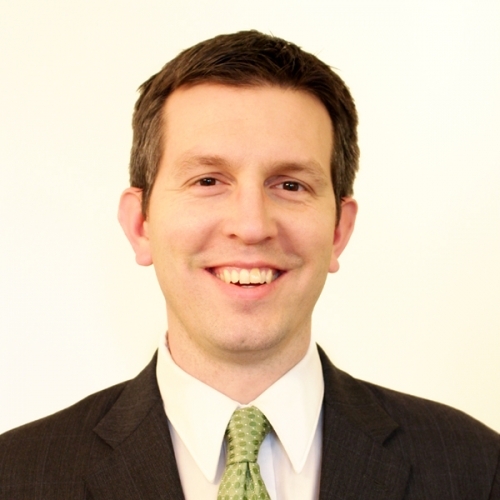 He has a bachelor’s degree from Brigham Young University and an MBA degree from Arizona State University. Jimmy currently works in the digital marketing department of Hilti, an international power tool manufacturer. He resides in the Dallas, Texas area with his kind and beautiful wife Heather and their six children. More about Jimmy Smith and this website.